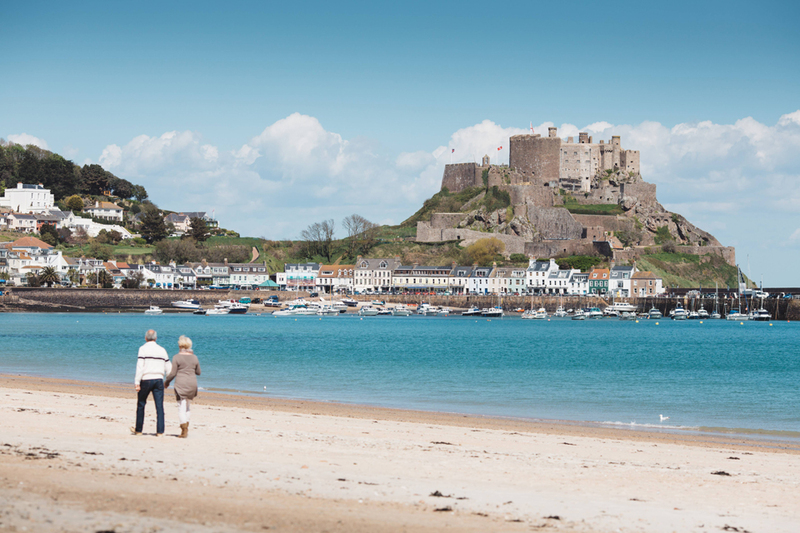 Jersey, a fascinating island, within sight of the French coast, has a mixture of home and abroad. Jersey has no duty or VAT that makes it a shopper’s paradise and St Helier’s shops are full of bargains. If you move away from the town you can appreciate sleepy granite villages linked by winding country lanes and 20 miles of glorious beaches. We are using the Mayfair Hotel. Holidays to Jersey are operated by Modern Travel Centre, Jersey ATOL Licence No 0752 of whom Andrew’s are an authorised agent. FIRST DAY: A morning departure by one of our coaches from your agreed pick up point to Manchester Airport for your flight to Jersey. On arrival you will be met by a Modern Hotel courier and transferred to your hotel. LAST DAY: You will be taken from your hotel to the airport for your flight to Manchester Airport where you will be met by one of our coaches to take you to your agreed drop off point. DUE TO CHANGES OF FLIGHT PACKAGES – AT THE TIME OF BOOKING WE WILL CONFIRM THE AVAILABILITY OF THE SEATS ON THE CHOSEN FLIGHT DATE. AN ADDITIONAL FLIGHT SUPPLEMENT MAY BE QUOTED AT THE TIME OF YOUR BOOKING AND PAYABLE ON THE DAY. The Mayfair Hotel a Jersey Tourism 3 star hotel situated in the southeast corner of St Helier, the town shops are a couple of minutes’ walk away. The nearest beach is Havre des Pas, a ten-minute walk away. Pleasant restaurant, coffee shop, bars and lounges. All bedrooms are en suite with T.V, hairdryer and tea and coffee making facilities. Fitness centre and heated indoor swimming pool. The hotel also offers entertainment including parties, bingo, quizzes and dancing. Lift. Price is based on shared twin/double accommodation with en-suite facilities, breakfast, dinner, return airport transfers and return air travel. Jersey by Air J1708 Isles of Scilly LIMITED SPACES AVAILABLE – BOOK EARLY!!! !